season – This Square Peg. Blogtober #3: How to Enjoy Autumn, Wherever You Are. October 3, 2018 October 3, 2018 Categories Autumn, Beauty, WritingLeave a Comment on Blogtober #3: How to Enjoy Autumn, Wherever You Are. Because some of us don’t live in areas where we get to breathe in the vivid fall colors and hues and wear snazzy peacoats and wear booties and close our eyes as the crisp breeze surrounds us like an old, trusted friend. Some of us live in Texas. Or Alabama. Or Florida. Or…the Virgin Islands. And regarding where I reside in the Lone Star state, it does get cool in the late autumn/winter. We may not get the amazing colors, but there’s certainly room for lovely coats and sassy booties. Nevertheless: it’s not the same, is it? Boo hoo. But we shall make do. Starbucks to the Rescue. Every fall, to the delight of the masses, Starbucks brings back its popular Pumpkin Spice Latte beverage. Personally, I can’t even. Pumpkin ain’t my thing, and I can’t even fathom whatever Pumpkin Spice is. (I stick to my chai latte year-round.) But a lot of folks love the autumn-y drink and I won’t take that away from them, because whatever makes your palate happy is fine by me, especially if it’s related to fall. So, if you live in area where balmy breezes fill the atmosphere even in mid-November, get your derrière to the local Starbucks, order this drink, and pretend you’re somewhere in New Hampshire. Weekenders and Staycations. I’m a massive fan of getaways, even if it’s from Friday to Sunday. Sooo…find a fall-y place. Get thee to that place. Spend a nice weekender/staycation there. Rinse and repeat. 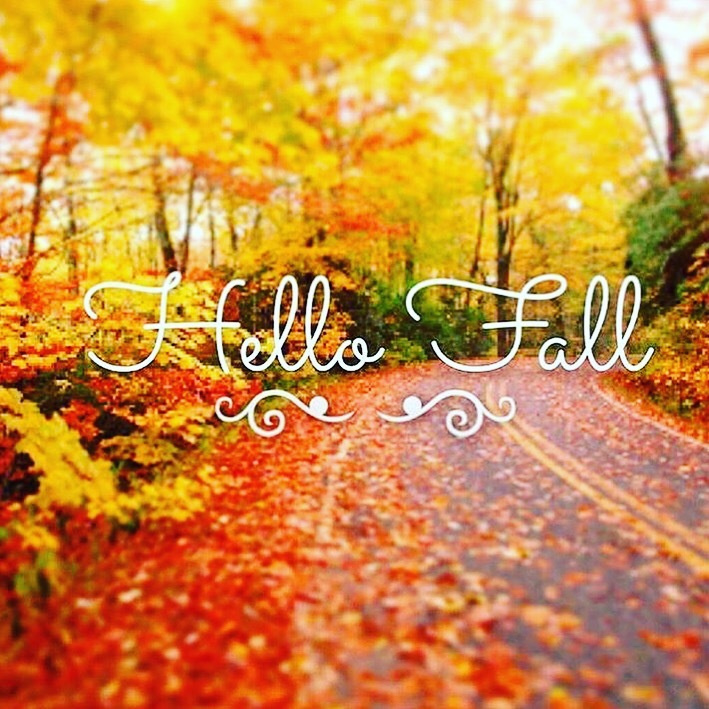 Fall-y places can be any states in the New England area such as Vermont, Massachusetts, Rhode Island. And before you say, “but Square Peg, there are tumbleweeds in my wallet. Weekenders and staycations involve money.” My response: get thee also to Groupon. There are always getaway travel deals to investigate and use. I assure you that one can be found. Why don’t we still use thee in daily speech? Art Imitates Life. You know I’m artsy fartsy. Naturally, when art and life intersect, it’s a beautiful thing. When autumn and art intersect, even better. Want to take a gander at classical art that evokes autumn? Head to your local museum and fall in love with the works of the Hudson River School; the pieces done by artists in this school, such as Thomas Cole (one of my very favorites), are brimming with landscapes and nature and always give me that fall-y, changing of seasons, introspective feeling. Get thee to a museum! Autumn in New York…is easy to choose as an option, but this is one of the worst movies of all time, y’all. Yes. Of all time. It’s so terrible. Watch it if you like, but you’ve been warned. 5. Rise to the Occasion, Even Briefly. You know how at the slightest hint of warm weather you see folks walking around in flip flops? Even though it’s not really that warm? We may side eye those folks, but honestly, they’re expressing a level of excitement that I find almost inspirational. They’re doing everything possible to take advantage of the change, even it means exposing their poor toes to draft, not-that-sunny weather. Let’s be those people, dear reader. When the weather wherever you are dips in temperature, cools down a bit, etc., throw on a nice wrap or mock turtleneck or whatever you can find that can incite that autumn-y feeling. It may last just a day or may be a fluke, but at least you’ll be dressed for the day. 6. Fall for the Photo and other Misc. Items: See below. Got any photog friends? Grab them and set up a fall-themed photo shoot. I’m serious. Look: what do you have to lose? Every home store has fall-inspired decorations. Grab a few, find a nice park, and go for it. Have fun. Light a woodsy candle in your place. Wear orange and brown whenever you can. There ends my list. Hopefully, you’ve found some inspiration for how to be autumnal wherever you happen to be in the world. And fall isn’t your thing, that’s fine. Just tell me what your favorite season is in the comments below, won’t you? September 23, 2015 September 23, 2015 Categories Autumn, Poetry, Words, WritingLeave a Comment on stand on an aged, wood floor like an evergreen.